This new master module has no audio pins in patcher and is able to run patches without needing to open any audio I/O. 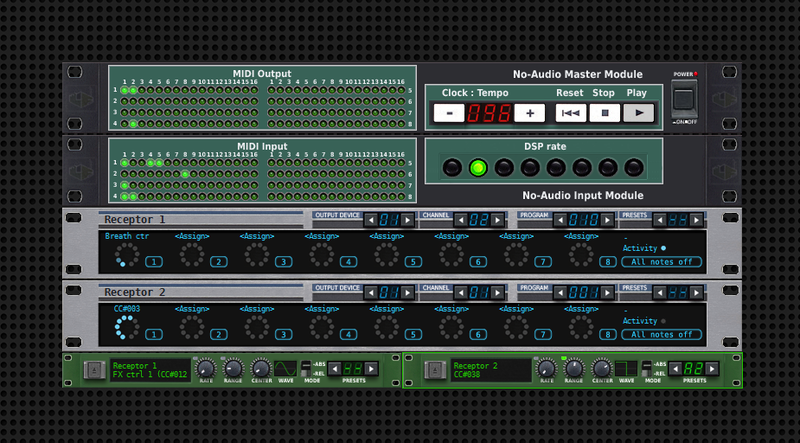 In fact, no sound-card is required in this mode you just need real or virtual MIDI I/O. Just add the "no-audio" master to your patch like any regular master, then add any number of VST MIDI effects, sequencers, arpeggiators and the like, as well as internal Robo-Control RP effects and special "External MIDI Gear" modules. All MIDI routings and mappings work as usual, turning the application into a powerful modular MIDI processor, sequencer and patch-bay.